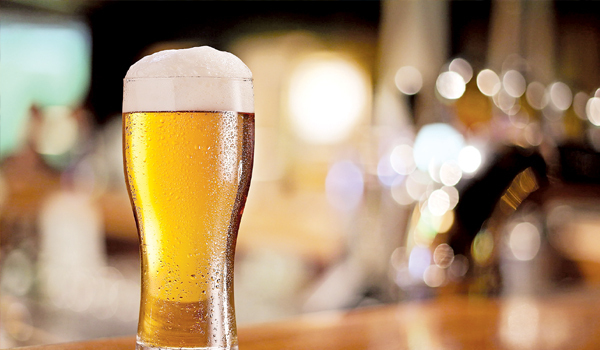 kingfisher, Millers,Tuborg, Hoegaarden will soon be a passA� as beer aficionados in the city will get a chance to relish freshly brewed ale thanks to the microbreweries that will dot the city soon. Besides HyLife Brewing Company that was opened last month (on Road Number 36, Jubilee Hills) and Prost (on Road Number 45, Jubilee Hills) that will open its doors to the public on September 4, Heart Cup Coffee is also set to come up with a brewery at their Jubilee Hills branch. Tabeer Osmani, director of marketing, HCC who is looking forward to opening his brewery in 30 days, says, a�?Since we got the license we got cracking.a�? While the business of microbreweries started catching up in 2009 in Pune, Mumbai, Bengaluru, Delhi and Gurgaon, it gathered momentum in the city this year after the government agreed to grant the licenses. Kedar Selagamsetty, the owner of the first microbrewery that came up in the city Hylife Brewing Company, says, a�?It took me one year to convince the government to allow microbreweries here.a�? Interestingly, Telangana is one of the largest beer producing states in India and around 6,500 lakh cases of it are sold every year, including three crore in Hyderabad itself. a�?Previously, I could try fresh brews while I went to the US for vacation or travelled to Bengaluru for work. Now with locally brewed beers, the prices will also become more reasonable and there will be delicious new ales and seasonal varieties that we can try,a�? says Karan Kurani, co-founder of a health start up DoctorC and beer enthusiast. Kedar quips, a�? We sold 6,000 litres of beer in six days and thata��s a record.a�? A thousand litres a day is the maximum amount that the government allows microbreweries.a�? From Belgian beers to German ales to brews with an Indian twist (read mango infused), the beer lovers in the city will be spoilt for choice. a�?Besides the favourites such as Wheat Beer or Lager, we also have our own concoctions. Our brewmaster is from Belgium and so we will have some delicious Belgian ales on the offer,a�? says Tabeer. Talking about the ales, that the German brew master Franz Weiger storfer (who incidentally has 50 years of experience) is rustling up at Hylife, Kedar says, a�?We have several different brews like Wheat, Stout, Pilsner, Hops, Dark beer, and Mango beer which is seasonal.a�?